As a Queensland company, we know how important air conditioning is for the smooth running of your business. When your premises are air conditioned, staff can do their jobs efficiently in comfortable surroundings, while customers are happy to do business with you! Whether it’s a completely new air conditioning installation or the integration of new units with your existing system, we specialise in supplying flexible solutions that meet your specific requirements. Our team of qualified technicians provide expert advice and design services, plus perform the actual installation for all your commercial air conditioning requirements. 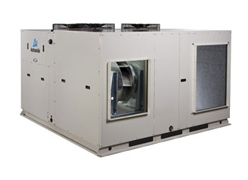 Chill Factor installs large and small scale commercial air conditioning equipment; we can help you with all systems including ducted reverse cycle, rooftop packaged, and split ducted systems. We are proud to work with Actron Air, makers of Australian owned and Australian made air conditioners designed specifically for Australians. Our highly experienced technicians deliver exceptional quality workmanship on time and on budget. Our workmanship is 100% guaranteed. Each commercial space is different. For this reason, we design custom air conditioning systems to meet each certain requirement. We consider energy saving features, individual room temperature control, allowing certain areas to be isolated e.g. Boardrooms and Lunch Rooms when not in use, reverse cycle ducted heating and cooling for comfort all year round or visually aesthetic outlet design – any factors that you need to make your space work for you. We then help you to maintain your new investment for the longest possible life time. 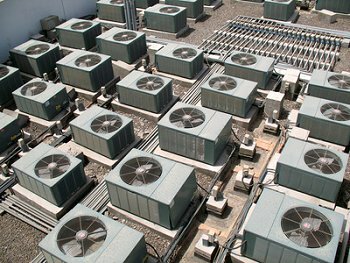 Whether or not you’ve purchased your commercial air conditioning equipment from us, we will still service, maintain and repair your commercial refrigeration equipment. Whatever commercial enterprise you have, be it a pub, club, hotel, restaurant, office blocks, commercial properties, factories, warehouses, schools or supermarket, Chill Factor can give your business vital support when it is needed most. Having your air conditioning serviced by us at regular intervals will ensure that you have fewer inconvenient breakdowns. We can tailor a preventative maintenance package to suit your needs and budget. A breakdown can decrease your staff’s productivity, make customers uncomfortable and typically cost more than the preventative repair. If you would like a quote on starting a preventative maintenance contract please contact us today. We understand the importance of being able to respond when your air conditioning faults as soon as it breaks down. With Chill Factor you can rest assured: we are on hand 24 hours a day, 7 days a week for all emergency breakdowns. Our vehicles carry a wide range of equipment and refrigerant to carry out the majority of installations, repairs and maintenance to avoid the extra costs and lengthy delays in repairs. If your air conditioning is malfunctioning or a non-essential component has broken, our call out service is available between 7.30am and 5pm. However, should you be one of our VIP customers you will always have priority. Call us today to find out how to become a VIP.